Based in a magnificent 16th century English manor house, the Sprowston Manor Hotel & Country Club, near Norwich, has recently undergone a £5.8 million refurbishment and offers a luxury haven for golfers and leisure enthusiasts. The Manor course was redesigned in 2003 by Ross McMurray of European Golf Design and plays as a Par 71 at 6464 off the back tees. It provides a fair test for golfers of all abilities, with large undulating greens and run offs. The 27 bay driving range, is both heated and floodlit and offers the ideal place to hone your skills. The practice facilities are completed with putting green, short-game area and the high-speed video technology including the latest Trackman Launch monitor. 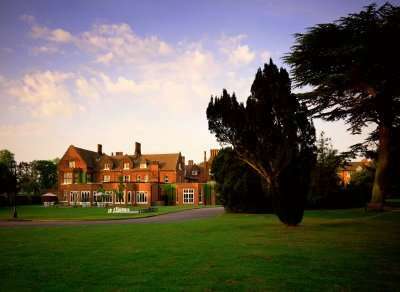 If you're looking for a UK golf break and longer UK golf holiday then Sprowston Manor Hotel is the perfect choice.